Is this safe for pets? Specifically dogs. If you follow the label directions and then let it completely dry, it should not pose any harm to pets or people. 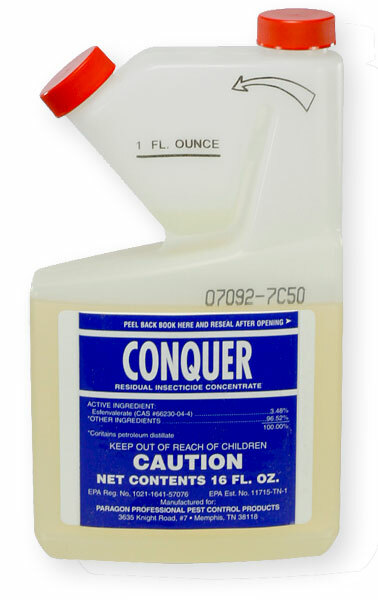 We have never had a report of any injury to animals with Conquer Insecticide. If the pet was exposed to Conquer then there is a slight chance of acute poisoning which could describe the symptoms you noticed. However, the chance is the same when you expose them to flea and tick dips, shampoos and even certain medications. The symptoms could also be caused by numerous other things. You didn't mention the type of dog or weight. Larger dogs are less susceptible to pesticides, smaller dogs more susceptible.